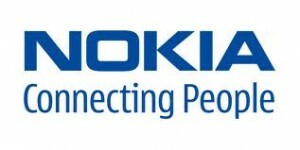 There’s been rumblings that Nokia Corporation (ADR) (NYSE:NOK) was preparing to go bigger with wireless carrier Verizon Communications Inc. (NYSE:VZ). In March, rumors surfaced that the top domestic carrier was preparing to launch a high-end Lumia model, following the mid-range Lumia 822 that was released late last year. Bloomberg is now chiming in corroborating the reports with its own unnamed “people familiar with the plan.” The Lumia 928 is expected to be similar to the flagship Lumia 920 that was launched last year, but will receive a physical makeover and a high-quality metal casing. It would be slightly different than the Lumia 920 that rival AT&T Inc. (NYSE:T) scored an exclusive lock on. The other pertinent specs are largely the same, such as display size, camera, and wireless charging. The March report suggested that the Lumia 928 would launch in April, but now the April report pegs release in May. Either way, the device should make its way to market fairly soon, and will be the first high-end Lumia on Big Red’s network running Microsoft Corporation (NASDAQ:MSFT) Windows Phone 8. Verizon Communications Inc. (NYSE:VZ)’s made it quite clear that its method for reducing device subsidies will entail spurring platform competition, which is why it’s been beefing up its Windows Phone lineup over the past six months, which now includes four smartphones. The most peculiar aspect of its Windows Phone portfolio, though, is the continued presence of the HTC Trophy. That device is the most expensive Windows Phone that Verizon offers by far, and is also the oldest (it was launched in May 2011 and runs on the previous-generation Windows Phone 7). Verizon Communications Inc. (NYSE:VZ) has reportedly discontinued the device, but probably needs to clear out inventory first. The first step toward clearing out inventory is price-cutting, though. Microsoft Corporation (NASDAQ:MSFT) may also benefit from an expanded Lumia lineup at Verizon Communications Inc. (NYSE:VZ), since consumers have mostly expressed that Nokia is the preferred brand for the software giant’s platform. Getting a flagship on the largest domestic carrier could help it unseat Research In Motion Ltd (NASDAQ:BBRY) as the No. 3 platform. The article More Evidence That Nokia and Verizon Are Hooking Up Again originally appeared on Fool.com and is written by Evan Niu, CFA. Fool contributor Evan Niu, CFA, owns shares of Verizon Communications (NYSE:VZ). The Motley Fool owns shares of Microsoft.